Napa may not be California’s best place for “cult” Cabernet, after Sonoma came out on top at a comparative tasting in London last week. 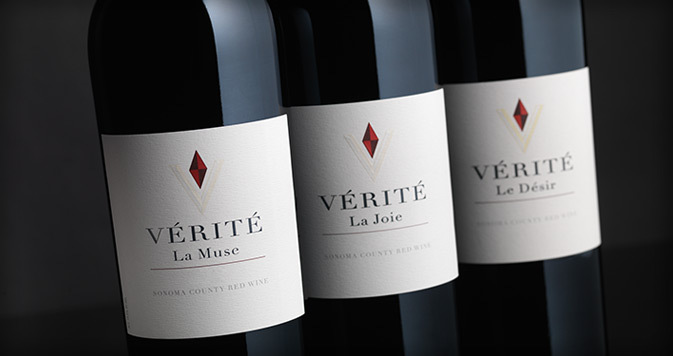 On Tuesday 6 October, Barbara Banke, chairman of Jackson Family Wines, oversaw the UK launch of the 2012 vintage of Vérité, the company’s flagship Sonoma County wine, along with a library release of the label from 2005. To promote the latter, Jackson Family Wines showed the Vérité La Joie (a Cabernet-dominant Bordeaux blend) alongside Napa’s most famous and expensive Cabernets all from the 2005 vintage: Harlan Estate, Scarecrow and Screaming Eagle. After the tasting, attendees – which included 50 of London’s leading sommeliers, fine wine buyers and a few press – were asked to vote on their favourite wine in the line-up, and a quick hand-count showed that Vérité and Screaming Eagle were the best, with a slight preference for the Vérité (which was almost 10 times cheaper than the bottle of Screaming Eagle). Speaking further about the result with db after the tasting was over, Julia said that she knew well the quality potential of Cabernet from Napa – Jackson Family Wines has a number of high-profile estates in the region, from Lokaya to Cardinale and Freemark Abbey. However, she pointed out that Sonoma’s Vérité consistently gets the highest scores: according to Julia, the wine brand, which has three annual releases – La Joie (a Cabernet dominant Bordeaux blend), La Muse (which is Merlot dominant) and Le Désir (which is Cabernet Franc dominant) – has gained a perfect 100 points by wine critic Robert Parker as many as nine times. “Sonoma has not received that sort of recognition before; it is a huge honour for us, and helps build up the reputation of Sonoma County generally,” she said, referring to the success of Vérité since its first vintage, which was 1998. Continuing, she said that Sonoma – despite having a longer viticultural history than Napa – was in its “infancy”. She also said that Sonoma was less famous because it didn’t have the same marketing resources as Napa, which has benefitted from strong personalities, such as the late Robert Mondavi, and famous events, such as the 1976 Judgement of Paris tasting, when California’s top Cabernets were pitted against leading clarets, and Napa labels won. “Sonoma is in the background, but we want it to be at the forefront,” she said. 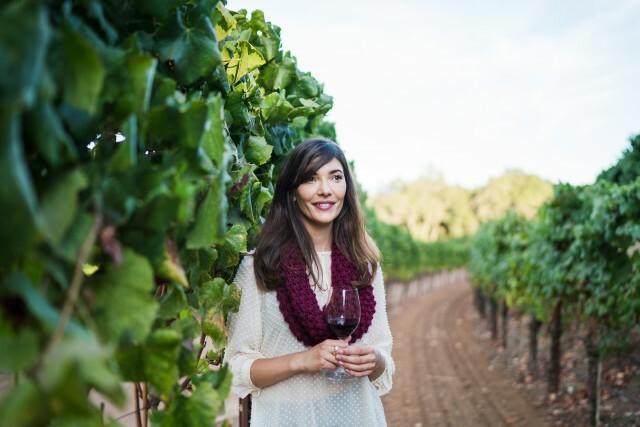 Nevertheless, she recorded a growing interest in Sonoma for top-end Cabernet, noting that Gonzague and Claire Lurton from Château Durfort-Vivens in Margaux have purchased a property in Sonoma, which is near Vérité’s winery in Chalk Hill. This investment, which was made in 2012, has yielded a wine called Acaibo from a winery named Trinité Estate – and, importantly, the Lurtons have planted Cabernet Sauvignon, Cabernet Franc and Merlot at the Sonoma estate. fact that Napa Valley is hardly their competition! Sonoma makes the best Sonoma wines and Napa makes the best Napa wines…. If I were Chris Carpenter [winemaker at Cardinale, La Jota, Lakoya & Mt. Brave] or Ted Edwards [Freemark Abbey] or Brian Kosi [Atalon] I would ask the Jackson Family mother-ship – “WTF denigrate Napa Valley when you own and operate six Napa Valley winery brands of great quality and repute!” The PR coordinator for this program must have been a rookie. Sophomoric, irrelevant and certainly a passé way to highlight California wine! There doesn’t seems to be any accounting for wine making technique and desired wine style here. Are the results purely based on fruit quality due to vineyard environment, soil and so on? Sonoma stands on its own…..Napa stands on its own. Sonoma needs to rid itself of the chip on it’s shoulder when it comes to Napa. At the end of the day, Napa simply does a better job of marketing itself.